Greetings to all of our friends and supporters. Much has happened since I wrote you last. I have been heartened to see New Jersey pass the Clean Energy Act of 2018 and commit to a 2019 Energy Master Plan that would lay out a pathway to 100% clean energy for New Jersey by 2050. 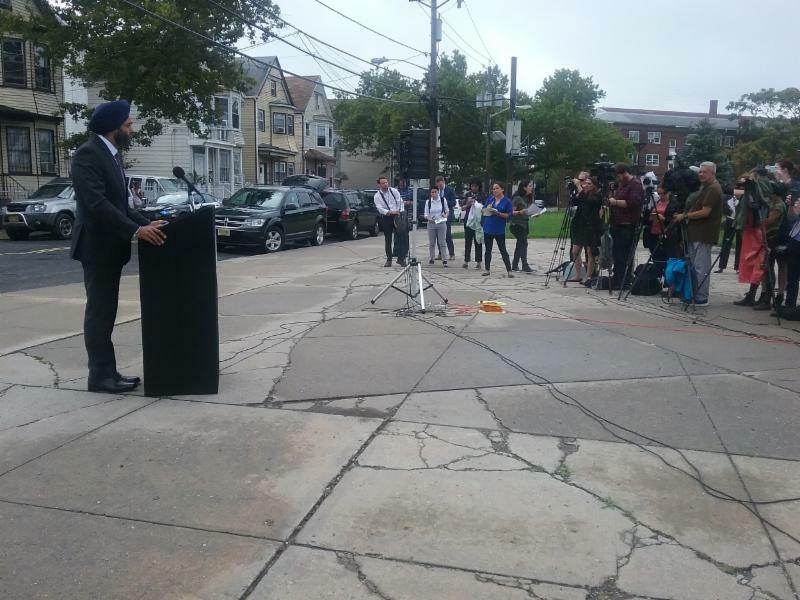 We have also seen the Attorney General’s office move on recovering damages from six toxic chemical spills, including one we have been working on in Newark for several years. EELC has recently taken on energy conservation work, on behalf of the National Resources Defense Council and the Environmental Defense Fund that supports the “decoupling” of utility sales from revenues. Utilities have been disincentivized from aggressively pursuing energy conservation programs because their profits drop as they sell less energy. Called GEM by PSE&G, or the Green Enabling Mechanism, decoupling would allow PSE&G to charge slightly higher rates as utility sales fall, while at the same time protecting customers from seeing higher bills. The NRDC and EDF intervened in PSE&G’s petition to New Jersey’s Board of Public Utilities to allow the electric utility to recover fixed costs even as their customers become more energy efficient, or even produce their own energy. In New Jersey, for example, 93,000 customers are now providing energy to the grid, mainly through rooftop solar, and these small-scale solar facilities produced about 2.3% of the state’s retail sales in 2017. Decoupling prevents the utility from having to accept a significant financial penalty for allowing such distributed generation of electricity. Decoupling is currently used in sixteen states that are serving 43 million electric customers. Nationwide, 105 electric and gas utilities are decoupled. We continue our clean energy work in front of the BPU, work that in the past has led to the introduction of smart metering technology in New Jersey and to funds set aside for energy efficiency improvements after Superstorm Sandy. Our client Food and Water Watch likes to say that New Jersey is a spaghetti bowl of pipelines with 1500 miles of already existing pipelines crisscrossing the state. In spite of this large existing network, six pipelines are currently being proposed to pass through the state. Energy companies are racing to profit from fracked gas from the Marcellus Shale in the Appalachians. These proposed pipelines raise Fifth Amendment private property rights questions. “Public purpose” must be proven before private land can be seized through eminent domain for the construction of a privately-owned pipeline. In July, EELC submitted comments to FERC on its gas pipeline certificate policy which was last updated in 1999. We urged FERC to revamp its processes for determining whether a pipeline is truly needed, to reject contracts with a pipeline company’s own affiliates as proof of market demand, and to only grant pipelines the authority to seize land through eminent domain after a pipeline has received all of its required permits. FERC agreed that its permitting process is flawed and has undertaken a review. On other NJ pipeline news, EELC is representing NY/NJ Baykeeper, Food and Water Watchand local homeowner associations to oppose the NESE pipeline which would convey an additional 400 million cubic feet/day of fracked gas from Pennsylvania to Sayreville, New Jersey, and across the Raritan Bay to the Rockaways in Queens. EELC is working closely with residents of Franklin and South Brunswick Townships which oppose NESE because of a nearby proposed compressor station. The next major step on NESE is the Final Environmental Impact Statement which, if issued, will be drafted by the Federal Regulatory Commission (FERC). Its possible release has been pushed back from this fall to early next year. EELC commissioned an expert to study water quality issues. The expert identified major failures in Transco/Williams’ plans. For example, NESE will impermissibly destroy valuable wetlands, create flooding hazards, and damage the habitat of Raritan Bay. announced the filing of six lawsuits for cost recovery and natural resources damages resulting from toxic chemical spills throughout the state. One of those sites is the Ironbound’s Manufacturers Place neighborhood whose residents have been exposed to contaminated groundwater and toxic vapors from the former Ronson Metals Corporation. This is a shocking situation which began after the DEP required Ronson Metal Corps, a manufacturer of cigarette lighters, to remediate their closed facility to industrial clean-up standards and place a deed restriction on the property. Tragically, the property was sold to a developer who built nineteen homes in 2002 and promptly disappeared. In 2012, when the DEP returned for a routine check on the property, which should have been repurposed as a parking lot or some other industrial use, they found the homes built on the contaminated site. Indoor air quality testing revealed unacceptable levels of tri-chloroethane (TCE) a volatile industrial solvent within the living spaces of fifteen homes. Many residents are at risk for health impacts related to their exposure. TCE is a likely carcinogen and can cause harmful effects on the nervous system, liver, respiratory system, kidneys, blood, immune system and heart as well as reproductive effects. Soil vapor extraction units were installed to remove the toxic air from beneath the affected homes and to vent it into the atmosphere, much like radon systems. EELC represents the Ironbound Community Corporation in this important environmental justice matter and is seeking justice for the impacted residents. 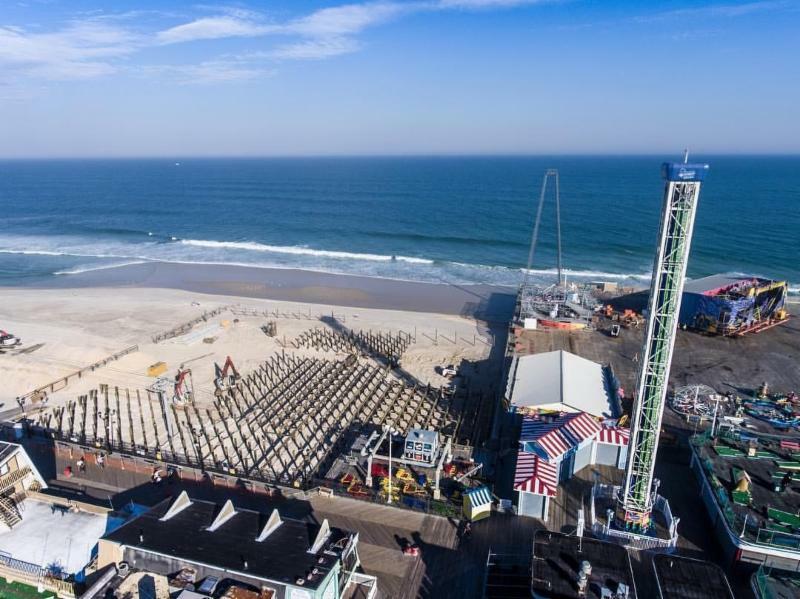 This summer EELC fought on behalf the American Littoral Society and the New Jersey Conservation Foundationto defend against an unprecedented transfer of 1.37 acres of public beachfront property in Seaside Heights worth $2 million to a private developer. This property had been preserved through the state’s Green Acres program, but a private developer received approval to build an amusement park on the land. Green Acres publicly acquired lands can only be developed if the land is swapped for another parcel of equal usefulness and recreational or economic value. In this case, the town accepted in trade an antique merry-go-round, a small parking lot, and nearby undevelopable wetlands worth less than $300k in trade. This sets a terrible precedent and was important to challenge in the Appellate Division. The Court agreed with EELC that the agencies had failed to set forth findings on the adverse consequences of the trade, as required by the Green Acres regulations. The Appellate Court stated that it would usually require a remand to correct this error. However, citing “unique circumstances”, the Court concluded that a remand was not warranted in this instance. While 1.37 acres of public beach parkland has been lost, the Appellate Division opinion serves as an important notice that Green Acres parkland cannot be traded into private ownership for historic objects. 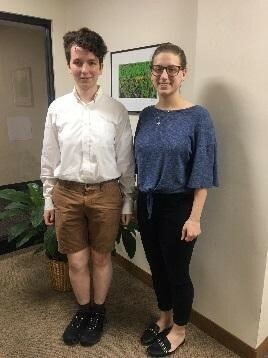 We were fortunate to have two fantastic law students intern with EELC over the summer. Ollia Pappas is a joint degree student focusing on environmental law at the Yale School of Forestry & Environmental Studies and the Elisabeth Haub School of Law at Pace University. Ollia assisted tremendously with EELC’s clean energy caseload. Ruth Sheridan is combining her artistic background from The Cooper Union with environmental law from EELC and spent most of her summer focusing on pipeline litigation work. Both were a joy to have at the office and we wish them a successful year in law school. For more information on all of our legal efforts on behalf of the environmental community, please visit us at our website, and on Facebook and Twitter. 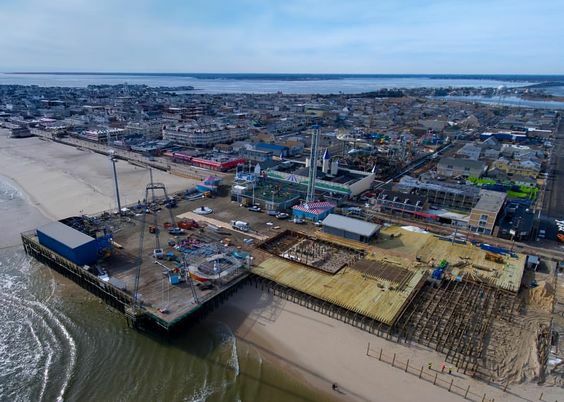 This summer EELC fought on behalf the American Littoral Society and the New Jersey Conservation Foundation to defend against an unprecedented transfer of 1.37 acres of public beachfront property in Seaside Heights worth $2 million to a private developer. This property had been preserved through the state’s Green Acres program, but a private developer received approval to build an amusement park on the land. The New Jersey Appellate Division affirmed, with modification, the approval of a Green Acres land swap in I/M/O Seaside Heights Borough Public Beach, July 30, 2018. Litwin & Provence LLC and Eastern Environmental Law Center represented the American Littoral Society (ALS) and the New Jersey Conservation Foundation (NJCF), who appealed the June 2016 New Jersey Department of Environmental Protection (NJDEP) and NJ State House Commission (SHC) Green Acres disposal approval. The approval allowed for the unprecedented transfer of 1.37 acres of municipally-owned beach to a private developer in exchange for a wooden carousel built in the 1890s, a smaller “boardwalk facing” land (but not beach front), and a 67-acre wetland parcel in Toms River. Following the swap, the private developer built a private amusement pier on the beachfront parcel. Monday’s decision modified the challenged approval, but ultimately affirmed the disposal of the public beach. 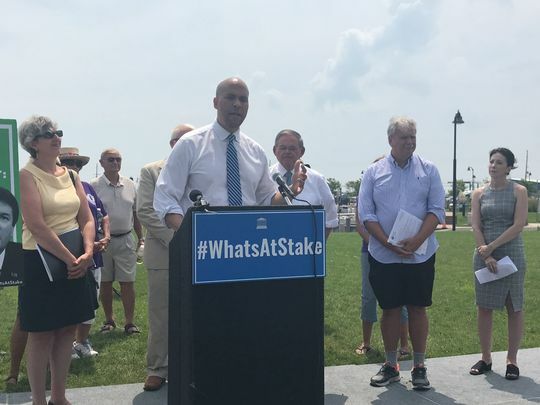 ALS and NJCF appealed the approval of the swap, which threatened to open the gates to more transfers of public beach to private owners in exchange for historic objects and rather than replacement parkland. Though the Appellate Division decision allows the swap to stand, the Court modified the conditions of the approval to make clear that parkland must be swapped for replacement parkland, not historic objects. The Court agreed with the argument by ALS and NJCF, ruling that the Green Acres law allows “the exchange of lands together with historic properties, not the exchange of land for historic properties independent of any replacement land”, and that the Green Acres regulations “contemplate that any major disposal must involve replacement land, not solely personal property….” By requiring the carousel to be placed upon the boardwalk-facing parcel, the Court modified the challenged approval to make it comport with the law. The Court further agreed with ALS and NJCF that the agencies had failed to set forth findings on the adverse consequences of the conveyance, as required by the Green Acres regulations. The Appellate Division agreed with ALS and NJCF that the agencies were required to complete this analysis because “…under the plan language of the regulation, DEP and the SHC must consider whether a proposed disposal will ‘substantially’ result in any of the adverse consequences . . .” The Court stated that it would usually require a remand to correct this error. However, citing “unique circumstances”, the Court concluded that a remand was not warranted in this instance. While 1.37 of public beach parkland has been lost, the Appellate Division opinion serves as important notice that Green Acres parkland cannot be traded into private ownership for historic objects. EELC Senior Staff Attorney Jenn Danis (far right) with NJ Senator Cory Booker in Brick, NJ, August 6, 2018. EELC submitted legal comments yesterday on behalf of clients New Jersey Conservation Foundation (NJ Conservation), The Watershed Institute and Sierra Club to the Federal Energy Regulatory Commission (FERC) in response to the federal agency’s request for comments on its gas pipeline certificate policy, which was last updated in 1999. The purpose of the comments was to urge FERC to revamp its processes for determining whether a pipeline is truly needed, not accept contracts with a pipeline company’s own affiliates as proof of market demand, and not grant pipelines the authority to seize land through eminent domain before a pipeline has received all of its required permits. EELC’s comments were submitted with the Columbia Environmental Law Clinic. EELC is celebrating its victory for the environment: On June 14, 2018, Williams/Transco withdrew its Northeast Supply Enhancement (NESE) pipeline application from the NJDEP. Franklin Township’s Mayor, ​Phil Kramer celebrated the victory too, but said, “The Fight isn’t over yet.” On behalf of its clients, Central Jersey Safe Energy Coalition, Princeton Manor Homeowners Association, Food & Water Watch & NY/NJ Baykeeper, EELC agrees that the battle against the pipeline through Raritan Bay and the new compressor station in Franklin Township will continue because the pipeline company reapplied for the pipeline work a few days later. Nevertheless, the permit withdrawal and reapplication recognizes that NJDEP would not approve the project. The New York State Department of Environmental Conservation (“NYDEC”) today denied Transcontinental Gas Pipe Line Company’s (“Transco”) application for Water Quality Certification for its Northeast Supply Enhancement Project (“NESE”) due to incomplete information. According to the NYDEC’s statement, the application was not only incomplete, the materials submitted raised serious environmental concerns as well. First, I’d like to thank all our supporters again for helping us make 2017 a year in which we were able to bring our work on clean energy and pipelines to a national level and expand our representation of New Jersey’s environmental organizations and community groups in our other priority areas: environmental justice and open space. With respect to open space, EELC is working with the Highlands Coalition and local residents and has filed a lawsuit to protect the Meer Tract located at Federal Hill, a historically and environmentally important property preserved as open space in the Highlands Region. The Meer Tract is one of the most valuable remaining open spaces in Passaic County. The property provides a significant quantity of clean drinking water, and also serves as critical wildlife habitat. UPDATE (February 20, 2018): In an unprecedented move NJDEP, in agreement with EELC’s position, has asked FERC to reverse its decision to issue a conditional certificate to PennEast due to “woefully insufficient data”. In a strongly worded letter to PennEast, the New Jersey Department of Environmental Protection denied a freshwater wetlands permit sought by the pipeline company. The Conditional Certificate that FERC recently issued for PennEast clearly states that the pipeline can’t proceed without permits from NJDEP. 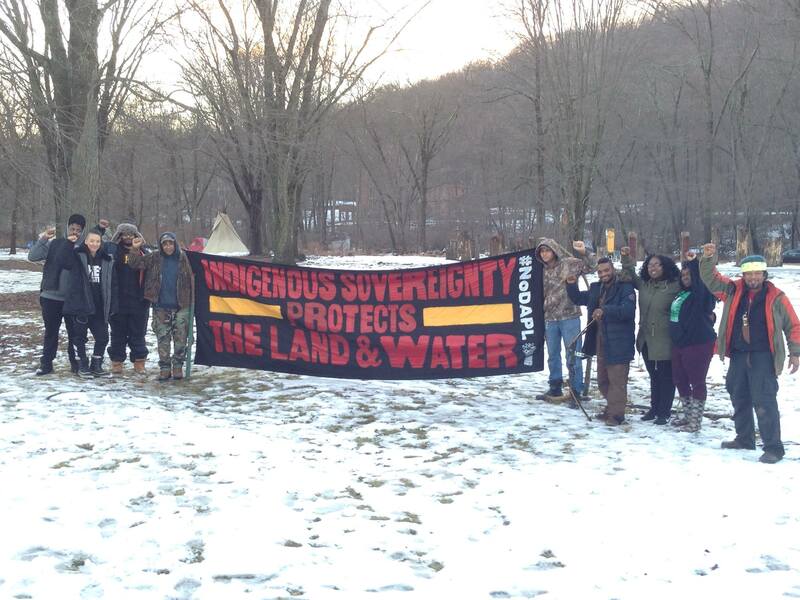 A Superior Court judge just gave a significant win to EELC and its client, the Ramapough Mountain Indians. In an Order signed on December 15, the Court denied the neighborhood Polo Club residents’ request for a restraining order preventing the Ramapoughs from using their own land for prayer and cultural assembly. Environmental and conservation groups in New Jersey that have opposed the PennEast project on the grounds that it does not serve a public need cheered the move announced today that FERC’s natural gas pipeline review process is not sufficient given current industry reality. 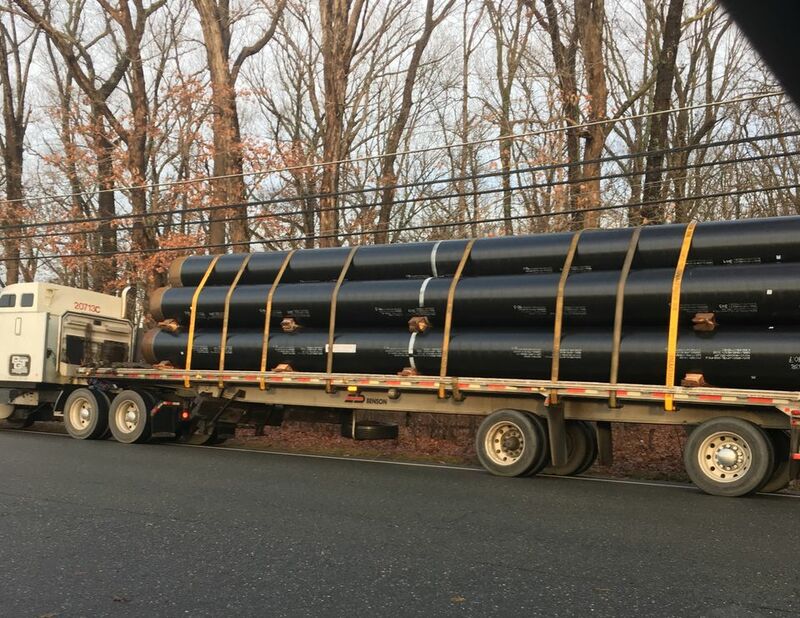 Far Hills, NJ (December 22, 2017) — Today FERC publicly acknowledged that its natural gas pipeline review process is not sufficient given current industry reality. At a public meeting, FERC announced that it will “review its policies on certification of gas pipeline proposals that come before it.” According to statements made by commissioners at today’s meeting, this review will include an examination of the criteria the commission uses to determine whether a pipeline is in the “public interest,” and what role precedent agreements play in that inquiry. The Eastern Environmental Law Center (EELC) and the Columbia Environmental Law Clinic filed a lawsuit last month on behalf of New Jersey Conservation Foundation (NJ Conservation) contending that FERC is acting unconstitutionally in its pipeline certificate review process by not ensuring that the lands it authorizes pipeline companies to seize are being put to a public use. “FERC acknowledged that its outdated certificate process is flawed, has failed to protect the public interest by not looking closely enough at the public need for proposed projects beyond precedent agreements and at environmental protection, and conceded that it needs to change. The lawsuit that Columbia Environmental Law Clinic and EELC filed on NJ Conservation’s behalf was designed to protect the public’s interest in ensuring that their lands are not seized based on this existing flawed FERC process,” said Susan Kraham, senior staff attorney, Columbia Environmental Law Clinic. 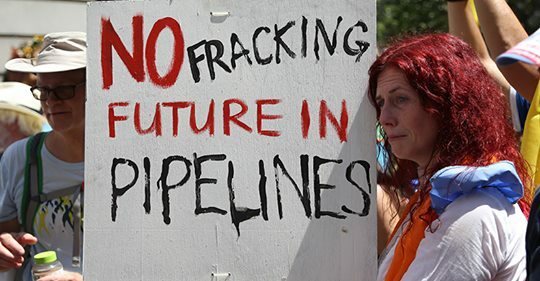 “This is a significant move by FERC, taking the first step forward toward remedying the public harms wrought by its failure to ensure that natural gas pipelines serve the public interest,” said Jennifer Danis, senior staff attorney, EELC. During today’s FERC meeting, Commissioner Richard Glick stated that the Commission should “examine whether to more broadly consider evidence of need, including placing greater evidence on the other factors laid-out in FERC’s guiding policy document.” Glick further said that “the review should evaluate the current approach for evaluating the environmental impacts of a proposed gas pipeline, including potential greenhouse gas emissions.” Commissioner Cheryl LaFleur expressed similar comments. NJ Conservation’s lawsuit raises those very issues, and challenges FERC’s existing practices for issuing certificates. Those are the same practices that FERC has now said it must review and change. Environmental and conservation groups in New Jersey that have opposed the PennEast project on the grounds that it does not serve a public need cheered the move. “Now that it has conceded that its current process is flawed and outdated, FERC must wait to take any further action in the PennEast docket until it has developed a pipeline certificate process that actually protects the public interest,” said Jim Waltman, Executive Director, Stony Brook-Millstone Watershed Association. According to the 5th Amendment of the U.S. Constitution, “private property [shall not] be taken for public use, without just compensation.” Unfortunately for hundreds of homeowners and organizations, FERC is allowing pipeline companies to seize land unlawfully. In a precedent-setting challenge, on behalf of NJ Conservation Foundation, EELC and Columbia Environmental Law Clinic filed a complaint charging FERC with permitting companies to seize private property without demonstrating public purpose. “The law is clear,” said EELC Senior Staff Attorney Jennifer Danis, “and it is not being followed. 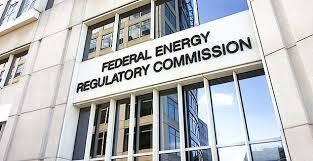 FERC’s practice flies in the face of constitutional protections against the illegal seizing of private property.” Read more here.